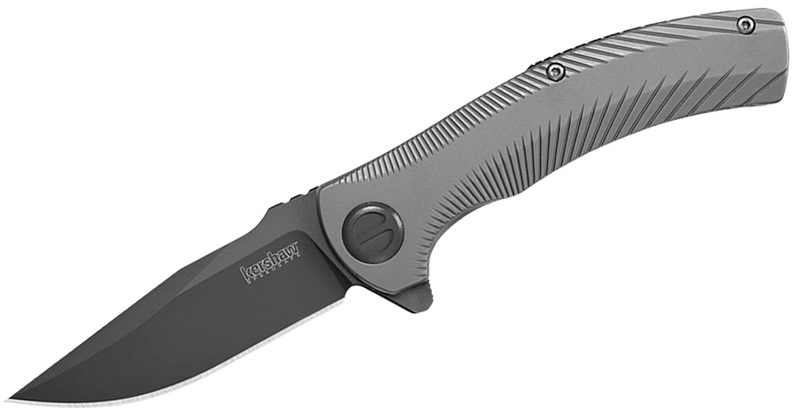 Kershaw hinted at the release of its 2019 catalog a few days ago, and it has finally arrived. The knife company has announced 17 new (or updated) models to look forward to this year. Normally we’d just pick the 10 that excite us the most, but we thought it would be fun to write a few quick thoughts on all of them. 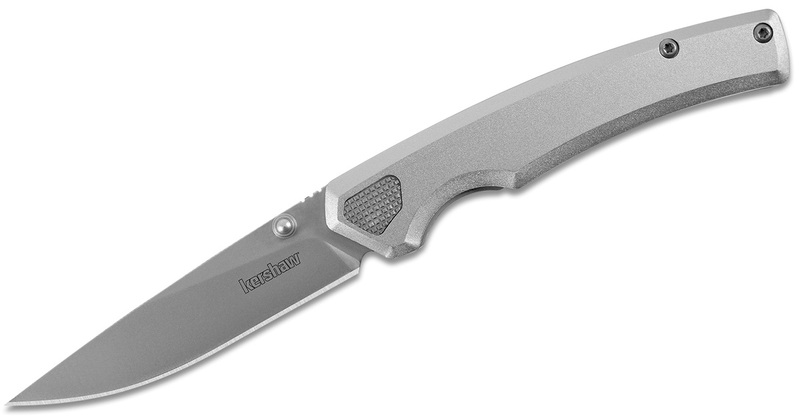 Kershaw usually doubles down on its most popular knives, and this year is no different. The Antic is considered the next iteration of the Shuffle series. This diminutive knife has a keychain attachment as well as the bottle opener and other functions on the back of the handle. This honestly seems a little more useful with the screwdriver and mini prybar as well. The blade is 1.75 inches and made from 8Cr13MoV steel. This looks like one of those steampunk knives — a genre I really never understood. Designer Les George apparently took some inspiration from metalworkers and it shows through this design. 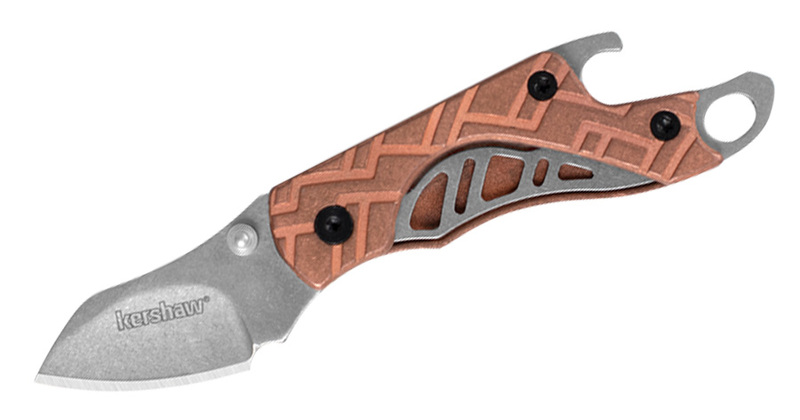 It has a 3.3-inch assisted blade made from 8Cr13MoV steel with a brown PVD coating around the whole knife. There are some cues taken from beams on bridges and whatnot, but I don’t see this one having wide appeal. The Collateral looks like one of the hits of this cycle. It looks like a cross between the Atmos and Reverb. It is inspired by a knife from Gus T. Cecchini of GTC Knives. The best part of this knife is the SLT (Spring-Loaded Tab), which is a hidden flipper tab that goes away from the whole pocket pecker thing. This was seen on a ZT first, but it’s always good to see these technologies make it to budget knives. The blade is 3.25-inch in 8Cr13MoV steel. The Decibel has a futuristic design with a matte gray coating on the blade and handle. There’s even a fly through cutout in the handle. 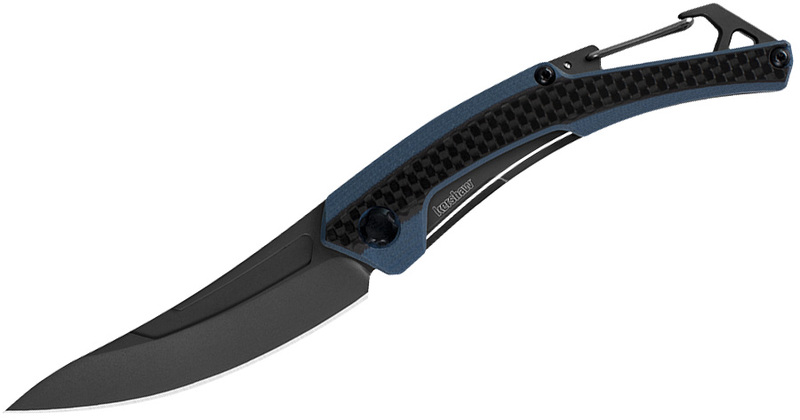 This knife also joins the growing number of knives with a blue (or other colorful) pivot collar. I’m not complaining though. The 3-inch blade is 8Cr13MoV steel while the handle is stainless steel. The weight is only 2.7 ounces and the opening is manual. 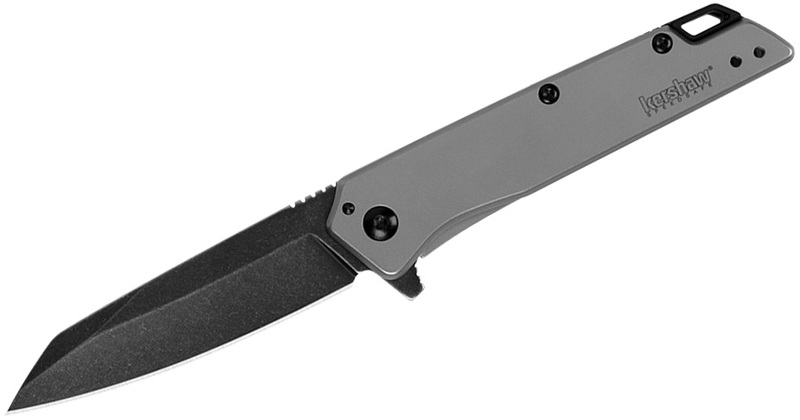 The Epistle has a minimalist knife and looks to be in the vein of the Kershaw Chill. Instead of slim G-10 handles, you get a slim aluminum handle. 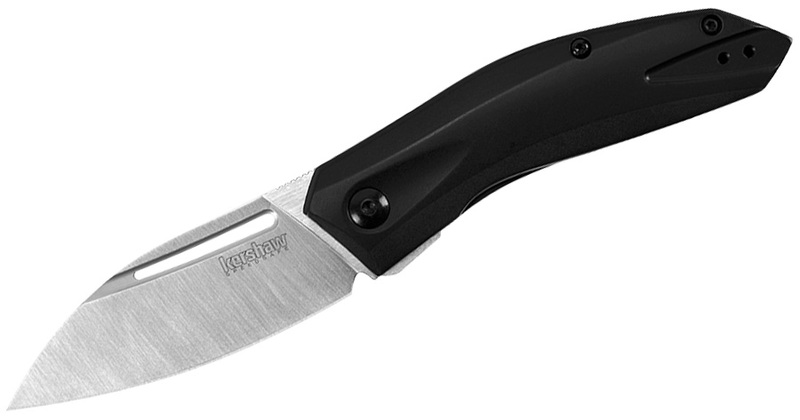 The manual opener has a 3-inch blade with 8Cr13MoV steel and a liner lock. Another from Les George, the Innuendo has a good-looking design with cutouts near the pivot that give it a distinctive look when closed. This apparently helps cut down on the weight, but it’s still a hefty 4 ounces. The blade is 3.3 inches of 8Cr13MoV steel while the handle is also steel. It has a frame lock, thumb disk, and manual opening blade. I don’t see this one taking off, but it’s a nice design. Kershaw has three new additions to its Launch series, starting with an Italian-inspired automatic knife. 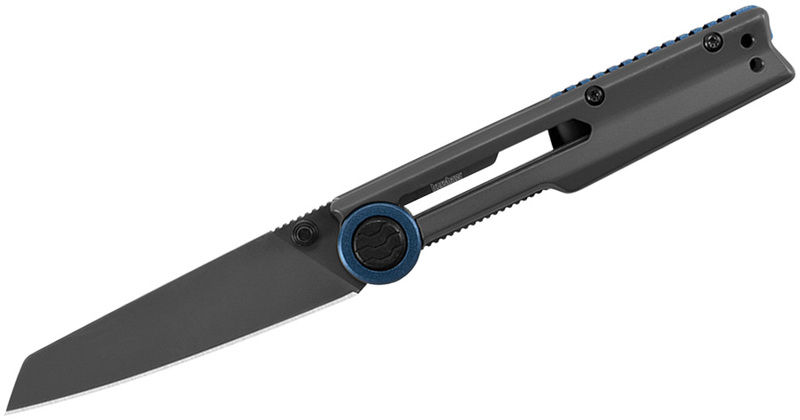 This is a sleek auto with a 3.5-inch blade and aluminum handle. 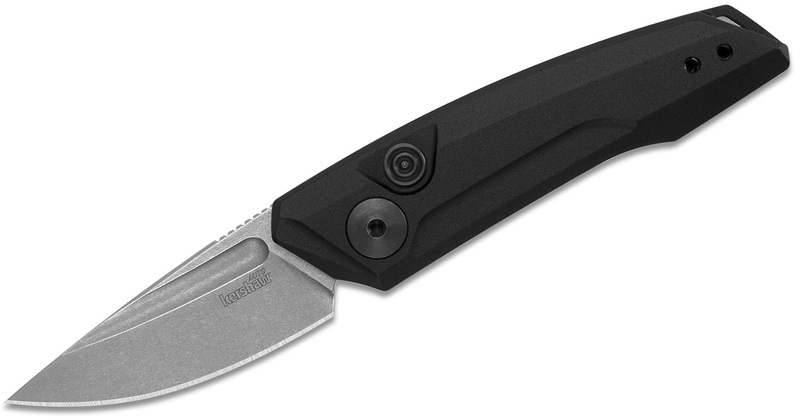 Inspired by the look of classic Italian stilettos, the Kershaw Launch 8 modernizes this traditional design for a new generation of knife enthusiasts. The pivot is deep in the handle and the guards keep the hand from slipping onto the blade. Remember the Launch 4? It’s back. In a new form. 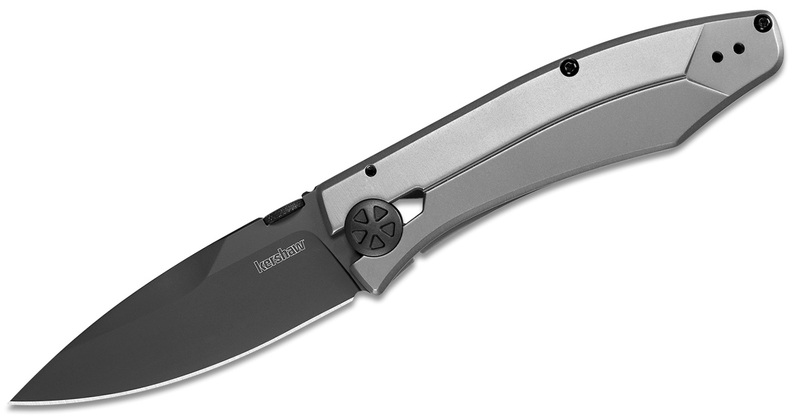 The Cali legal Launch 4 automatic knife is a big hit for Kershaw. Not only is it legal to carry in the great state of California, but it’s also a solid little auto that’s great for EDC. Kershaw is looking to capitalize on the success of the 4 with the 9. 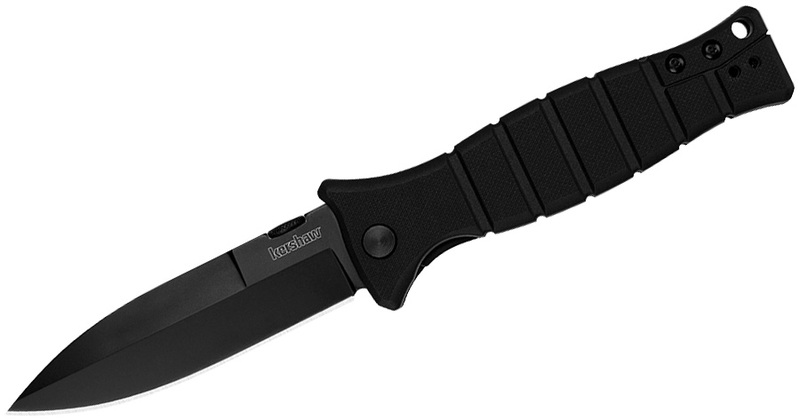 It has the same sub 2-inch blade size and CPM 154 stele blade and 6061-T6 aluminum handle. The difference is that it has a drop point profile and working finish that better hides scratches. It looks like a worthy rival to some of Pro Tech’s California legal autos. There’s also the Launch 10. It is nicknamed the Claw by Kershaw because of its hawkbill blade that almost looks like a Karambit. Additionally, the blade is just under two inches, making it Cali legal as well. The more aggressive look of this knife may raise a few more eyebrows than the 4 or 9 though. It uses the same material as the others in the Launch series. 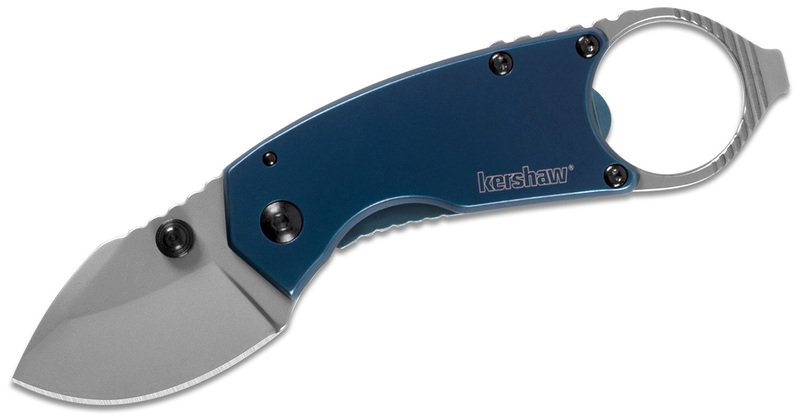 The Misdirect is part of Kershaw’s Starter series, a series of value knives that I had never heard of previously. I could have just missed it though. 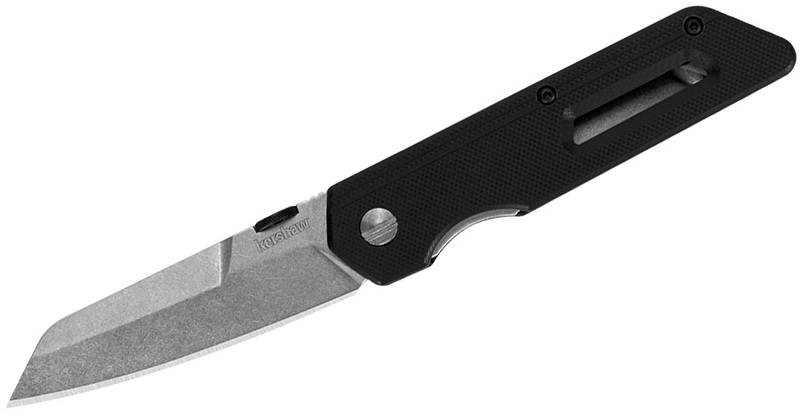 The general design reminds me of the Gerber Razorfish, but the edge on this 2.9-inch blade is curved more. 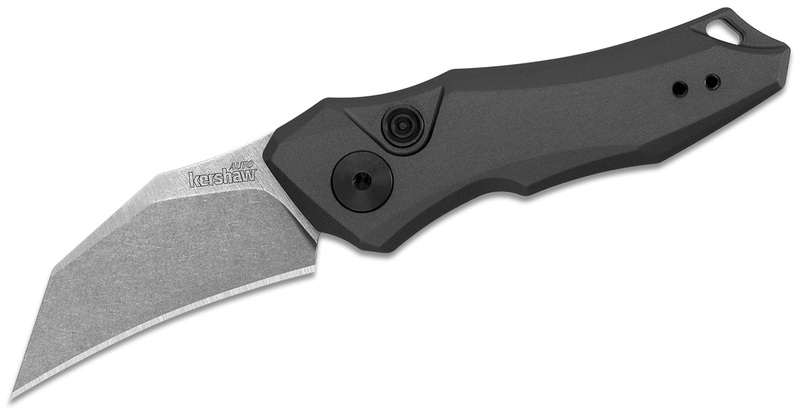 Like most budget knives, the Misdirect has an assisted blade and steel handle. The blade steel is 4Cr13. Named the mixtape because it’s supposed to espouse all the qualities of a good EDC, this knife has a 3.1-inch manual opening blade with a thumb disk and glass-filled nylon scales with window. It doesn’t look like it will blow anyone away, but it could be a nice budget option. The Oblivion is an odd knife without an overall theme. It has a two-piece front scale that combines GFN with stainless steel. It has a 3.5-inch spear point inspired blade that opens with SpeedSafe and a flipper. It comes in at a hefty 5.1 ounces thanks to its robust handle with frame lock and lockbar over-travel stop. I can’t tell if the custom pivot will allow for easy disassembly for servicing. I’m not sure if I love the design or simply confounded by it. Les George has another design on the 2019 docket in the Seguin. This design is less of a Frankenstein’s monster and more of a cohesive piece that’s great for work. 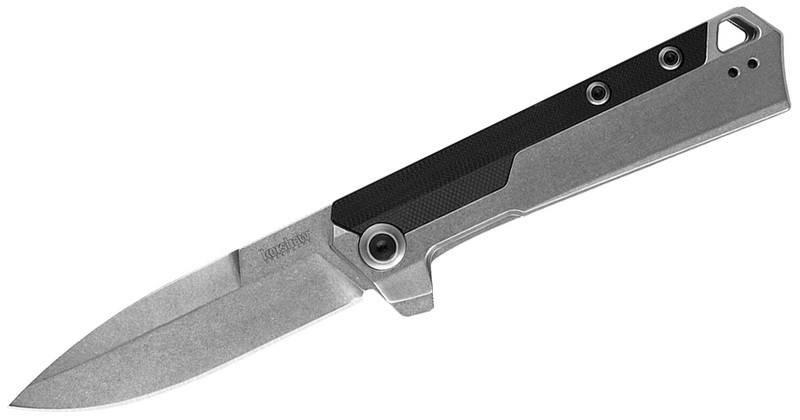 The blade is 3.1 inches of 8Cr13MoV steel that opens with a flipper and locks with a frame lock. The steel handle has a heavily machined texture that’s eye-catching and functional. The texture is also on the aluminum backspace. I can see this getting some pocket time as a work knife. You have to love that deep carry clip as well. The Turismo is the smaller brother of the Collateral and uses the same SLT mechanism. 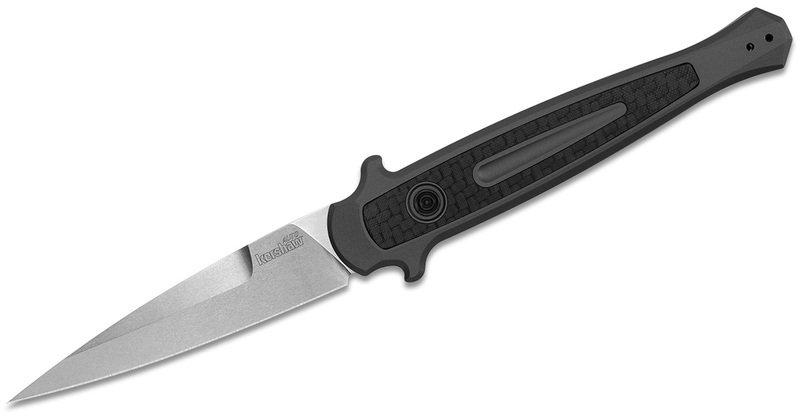 This knife is pretty compact with a 2.8-inch blade and an overall attractive design. The black-coated steel handle is sleek and the satin finished with sanded flats 8Cr13MoV steel blade is functional. It stays engaged with a frame lock. Along with the Collateral, the Turismo looks like it will be a hit. 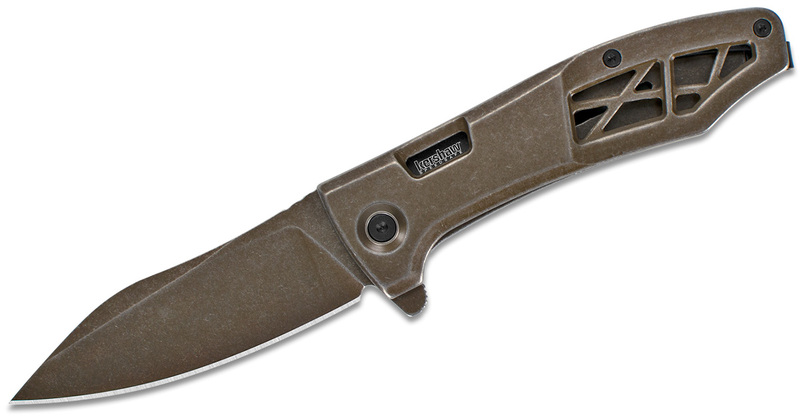 Inspired by the WWII knives of yesteryear, this Kershaw knife comes from the mind of Les George. Unlike some of the other WWII-inspired designs, this one is meant to be more EDC friendly. The blade is 3.6 inches and the handle is glass-filled nylon. The design is very cohesive and the design cues are all in the right places, but I wonder whether this knife will find its way into people’s pockets. Finally, we have two updated designs. The Cinder gets some neat textured copper handles. It’s definitely a good-looking knife. The popular Reverb gets the supersized treatment with a stretched out design that’s more than an inch longer than the original Reverb. 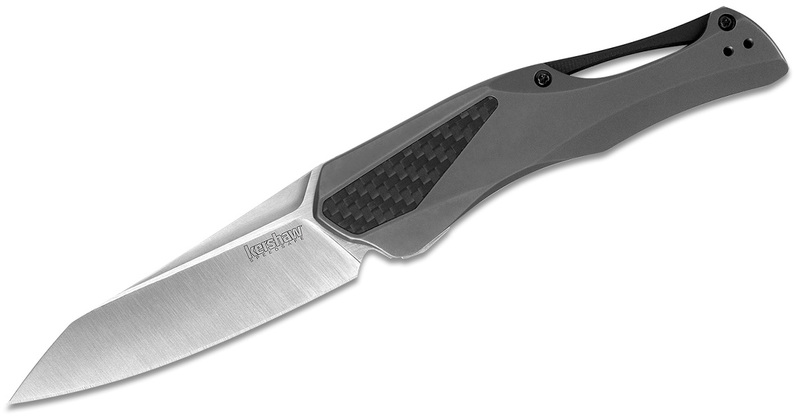 The XL has a 3-inch blade and G-10/carbon fiber scale on the front and steel in the back. I can see people getting excited for this one who thought the Reverb was a tad bit too small. When will the Launch 9 and Launch 10 be available? When will the launch 10 be available? i pre ordered on blade hq.